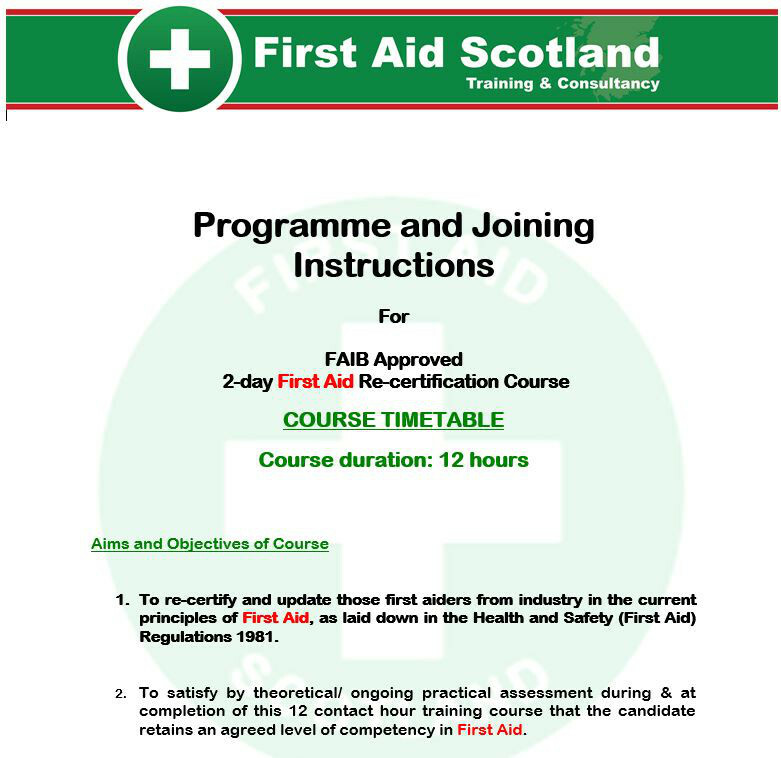 RFAW « First Aid Scotland Ltd. Description This Re-qualification First Aid at Work (RFAW) course is designed to re-certify existing fully qualified First Aiders within the workplace after their 3 year qualification expires. 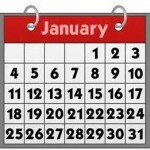 Delegates can be presented for re-qualification up to 28 days after their existing certificate expires, or up to 3 months prior to certificate expiry (new expiry date will be adjusted to reflect this), and is both First Aid Industry Body (FAIB) approved, and run to the current Resuscitation Council (UK) 2015 guidelines. This is a 2 day (12 hour) course, designed to bring first aiders up to date with Resuscitation Council (UK) and Health & Safety recommended guidelines. Delegates presented for re-qualification training should be of a suitable physical, mental and psychological disposition to be able to fully undertake the role of a first aider within the workplace. They should have good communication skills, and be reliable and able to cope with stressful and physically demanding emergency procedures¹. *NB. From 1st January 2017, ALL students now receive AED training as part of this course using actual AED training devices.